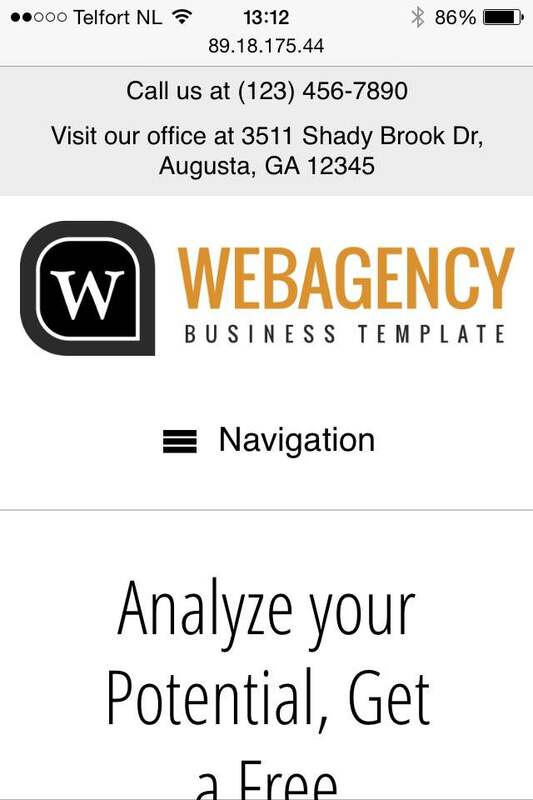 When you run a web design business, time is money and the Web Agency WordPress theme saves you both! 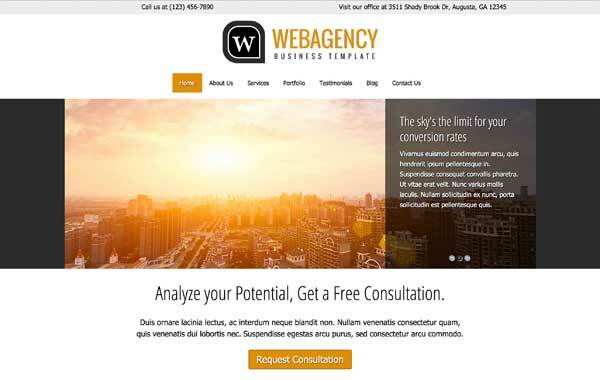 This pre-built WP template helps you get your agency website online fast just by replacing the demo content with your own text and images. 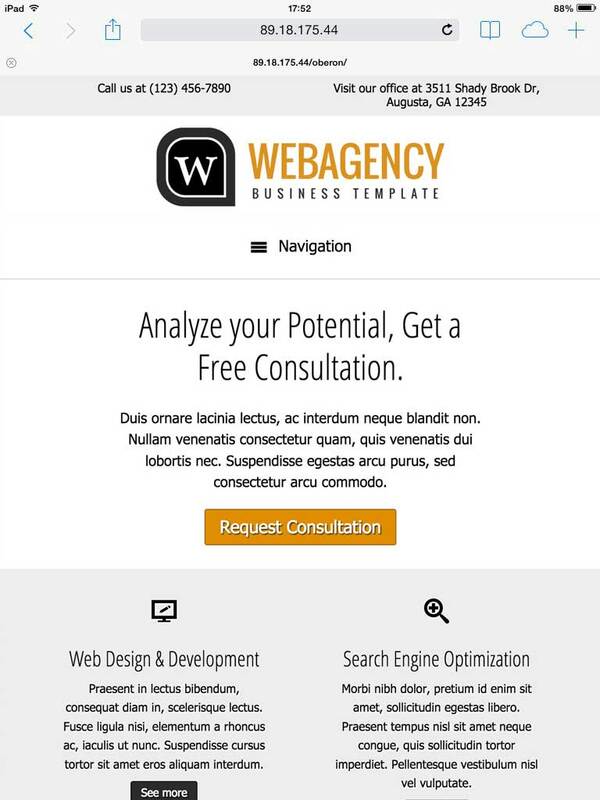 Skip all the set up and coding and get your website online fast with the Web Agency WordPress theme! We’ve done most of the work for you, so all it takes to finish the job is to add your own text and images to pages filled with placeholder content. 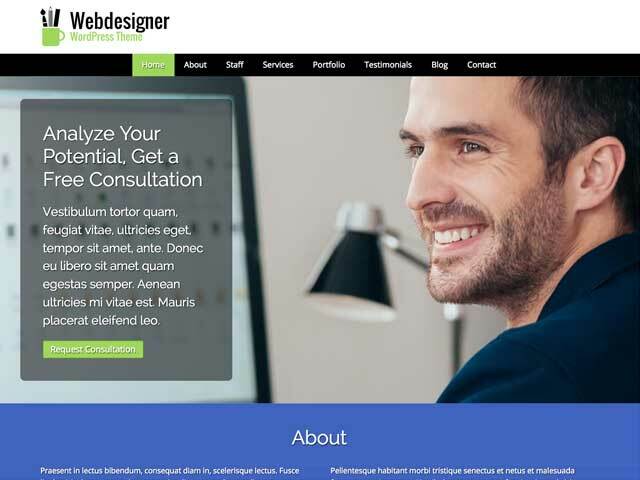 This pre-built template features an eye-catching image slider and goal-oriented layout on the homepage, plus pages already set up for your company profile, client testimonials, individual service detail pages, a blog section and a portfolio section to showcase your projects. Customize the look and layout of your website without any coding at all using our front-end editor and drag and drop widgets. 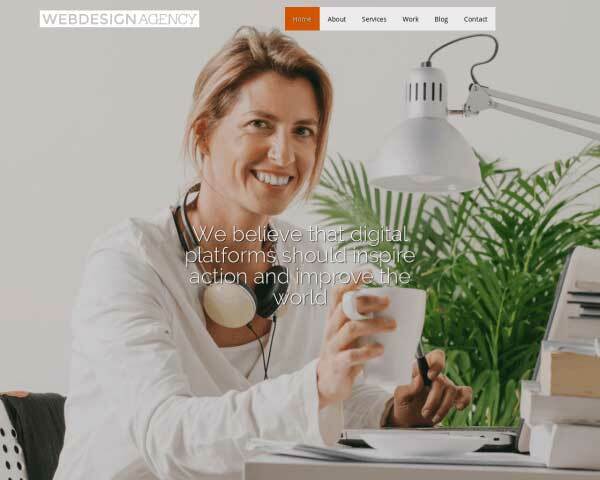 This premium WordPress theme for web agencies also includes lots of cool features that would normally require plugins or coding, like lightbox image galleries, social media options, web-safe Google fonts, a built-in maintenance mode and much more. 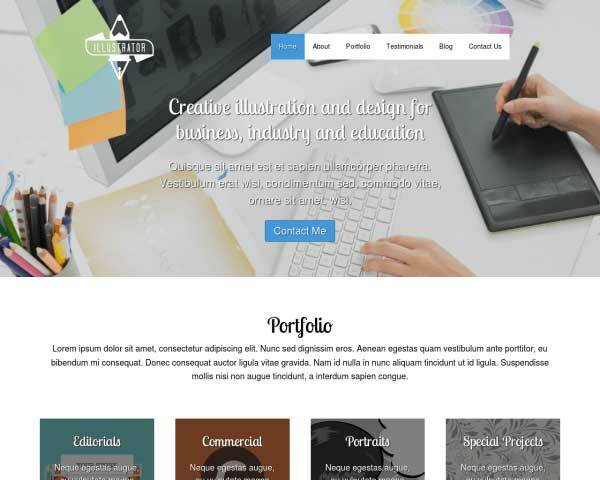 The Web Agency WordPress theme is designed specifically to help web agencies and web designers quickly and affordably create a professional portfolio website that turns curious visitors into clients. 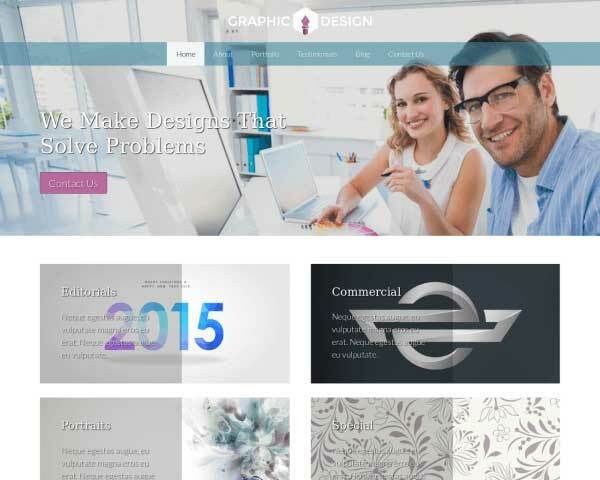 The Web Agency WordPress Theme is an excellent theme to create appealing and eye-catching content. Your individual blog items are nicely highlighted on your homepage and a dedicated "blog" page. 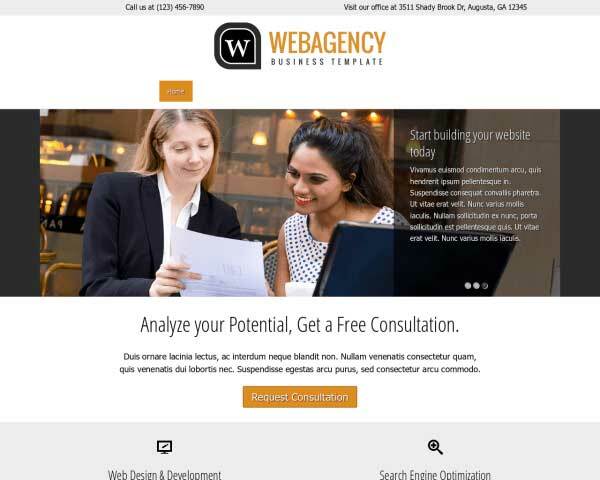 The Web Agency WordPress Theme makes it easy for prospective clients to reach you through the Contact page, featuring an integrated Google map and a handy form. 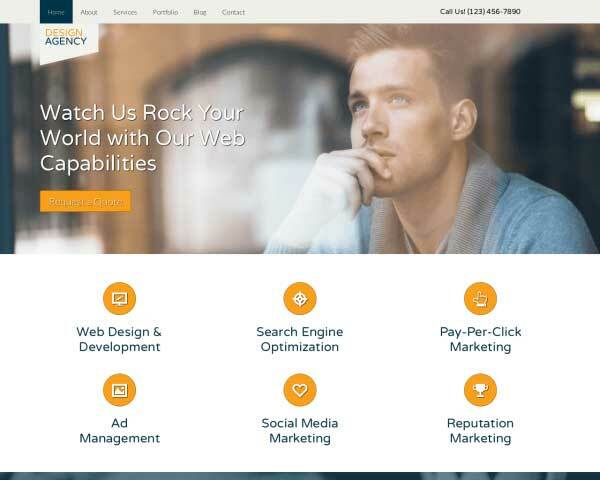 The homepage of the Web Agency WordPress Theme displays a neat overview of your services, offering visitors quick navigation to pages with more information. 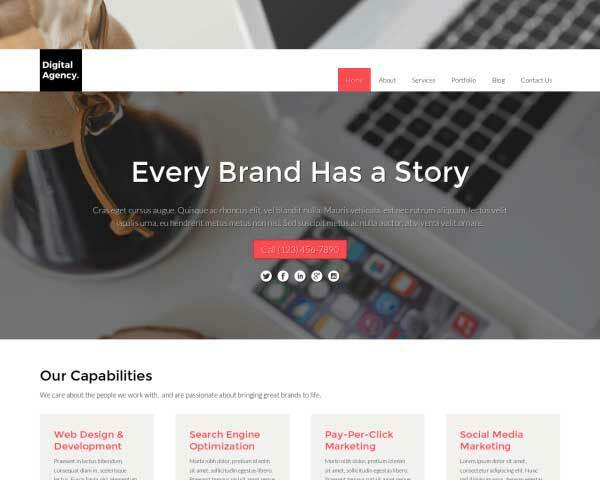 Establish your entire team's authority by using the Web Agency WordPress Theme's about page to share a bit of each team member's own personal story. 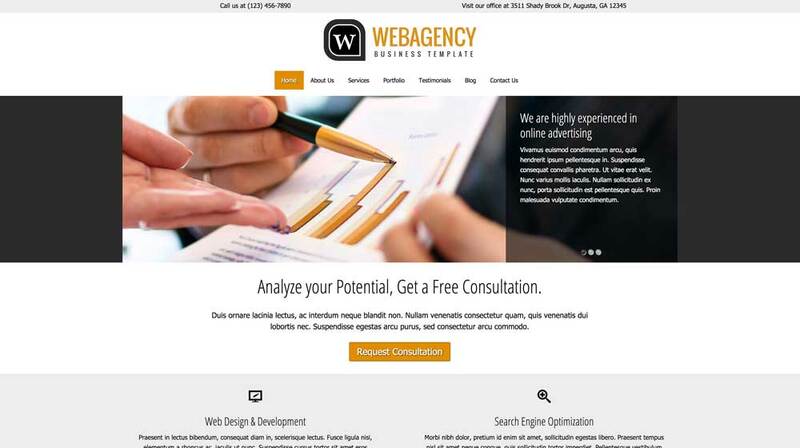 Right out of the box, our responsive Web Agency WordPress theme is built to look great at every screen size. You won't need to waste time on tedious coding or searching for plugins when our mobile-optimized design takes care of all the work for you! Add videos, photo galleries and blog posts without ever thinking about the mobile version of your site. The layout of your content will be automatically adjusted to display neatly on all types of mobile devices, even as new models enter the market in the coming years.